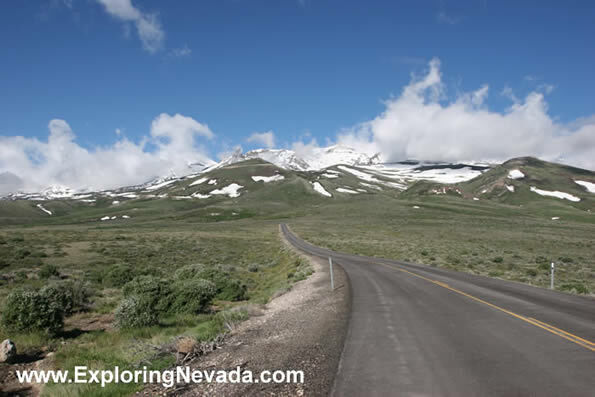 The Angel Lake Scenic Drive, after it leaves Wells, first climbs up the one lone foothill that exists on the eastern side of the Humboldt Mountains. The climb up the foothill is steep, but it provides fantastic views. The road winds it's way along the top of the foothill for about two miles, before it makes a sharp turn and heads directly toward the Humboldt Mountains. This photo was taken at that sharp turn.